Sifu Aldo was first introduced to martial arts as a young 10 year old boy in Italy in 1975. He studied Budokan karate there until his family emigrated to the UK in 1979 where he trained in Shotokan karate for a few years under the late Sensei Keinosuke Enoeda. In 1981, Sifu Aldo discovered Ving Tsun Kuen (Wing Chun Fist) and initiated his Kung Fu training under Grandmaster Kan Wah Chit, the first generation student of the Great Grandmaster Yip (Ip) Man and senior kung fu brother to Bruce Lee. In 1992 Sifu Aldo, now a qualified 'Sifu' (teacher), embarked on his own personal journey to begin teaching Traditional Ving Tsun classes in London and still continues to this day. 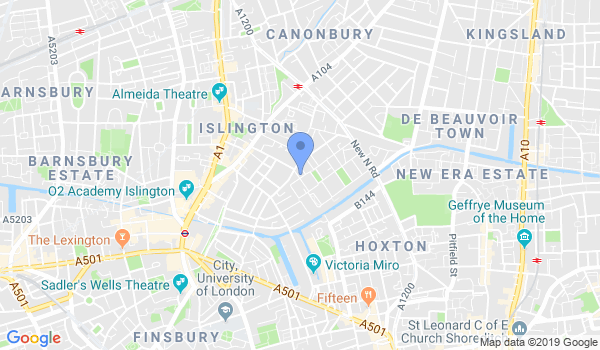 Would you like more information on hours, classes and programs available at Classical Wing Chun Classes (Islington)? Please contact the school with your questions. Update the details, Write a Review or Report Error of Classical Wing Chun Classes (Islington).